By The Grace of God was a labor of love, both temporal and divine, with Locklin working closely with son Hank Adam to see the project come to fruition. The result is an album that shines with a simple faith and love. With some of the vocals cut as the singers gathered around a single microphone, it hearkens back to some of Locklin’s earlier work, especially when he is backed by the Jordanaires, who he frequently worked with in the RCA days. From the jazzed-up “When The Saints Go Marching In,” to the gentle “Today Has Already Come to Pass,” to the reflective “Wisdom and Knowledge,” the album testifies to both Locklin’s talent and his belief. 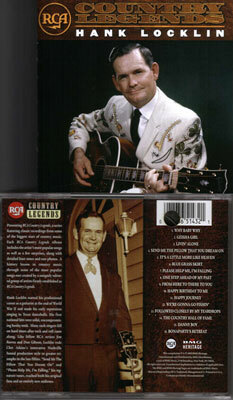 BMG's RCA Country Legends Series featuring Hank Locklin. The cd should be available at your favorite record shop. 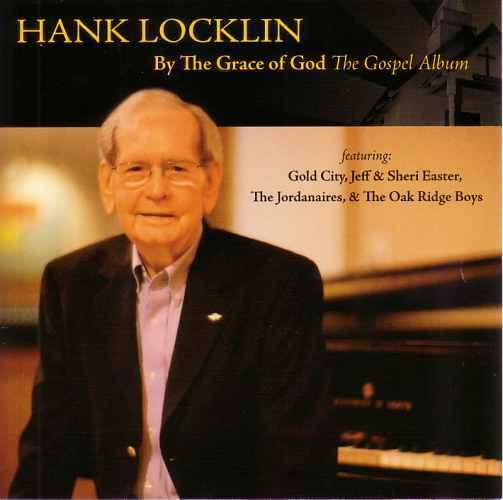 Remember: It is a mark of distinction to have a Hank Locklin record in your home! © 2001 Hanklocklin.com ~ All rights reserved.